This is a sponsored post. While I did received compensation, we love Jamba Juice and regularly go enjoy their smoothies and energy bowls. As a mom, I am constantly on the look out for simple ways to get more whole food goodness into my kid's diet. When it comes to fruits and vegetables, I try include a variety of vegetables and fruits in their breakfast, school lunch, snacks and dinners. With the busy school season coming up, it's always a challenge get fruits and veggies at every meal. I love that Jamba Juice has real fruit and vegetable juice smoothies with no added sugars. It's just nutritious goodness. And a great before or after school snack that feels like a treat. We invited friends to our local Jamba Juice San Diego location for a back to school stop at Jamba Juice. It was awesome to see them choosing between this-or-that healthy option. "Should I get the Apples N' Greens or the Pomegranate Paradise Smoothie?" I LOVE that they get to decide between healthy and healthy! Between the six of us parents and kids we chose a wide variety of healthy smoothies. I encouraged the kids chose from the All-Fruit Smoothies, the Whole Food Nutrition Smoothies, or Fruits and Veggies Smoothies. Those are the smoothies without the added sorbet and pack the healthiest punch. It was the perfect after school snack. I love that there are so many flavors and blends and you can customize your smoothie any way you want! Our favorite Jamba Juice customization is to sub in almond milk for regular milk. 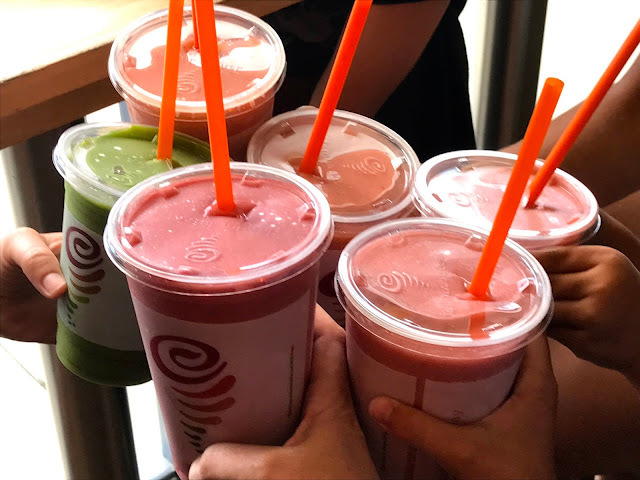 Jamba Juice smoothies and beverages have no artificial ingredients, no preservatives, whole food fruits and vegetables and taste so good. You know what I am talking about if you have had one. And with their over 900 locations world wide - I am thinking you do. 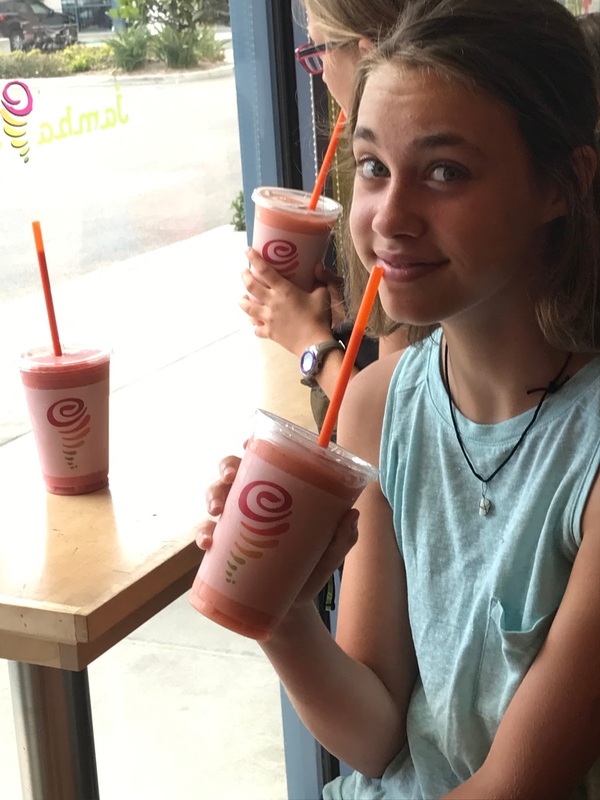 Did you know that Jamba Juice also allows you to order online, walk-in and pick up and be on your way. No hassle. 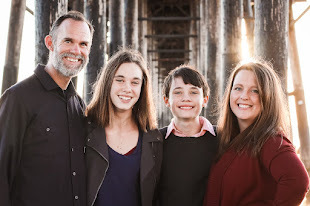 I love that option as a busy mom. Jamba is one of our favorites! I think we need to do this for back to school this week. These look so good!